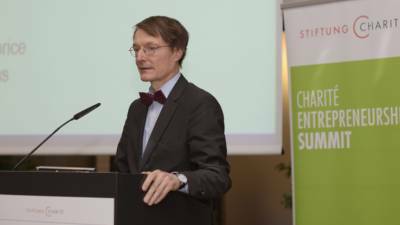 We had the good fortune of attending the Stiftung Charité’s 9th Annual Entrepreneurship Summit in Berlin last week. Especially of interest to us was the discussion of digitalisation of healthcare, which is right up our alley! But there were many other fascinating topics, including Healthcare Entrepreneurship: Challenges to Success on the Global Market, a discussion led by Prof. Detlev Ganten, president of the World Health Summit. Part of his presentation focused on the 17 Global Goals for Sustainable Development, shown here in this infographic. Take a look at what we are striving for!